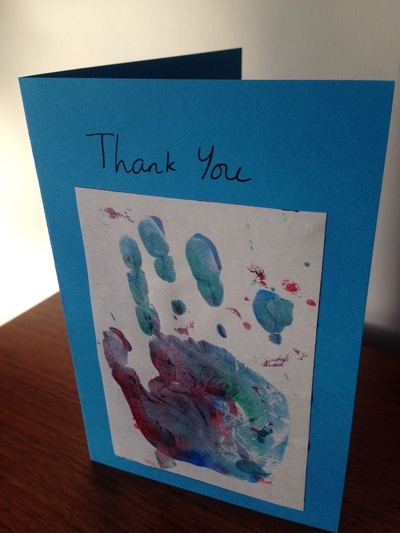 Here's a very easy hand print Thank You card - ideal for children not old enough to write their own Thank You letters. 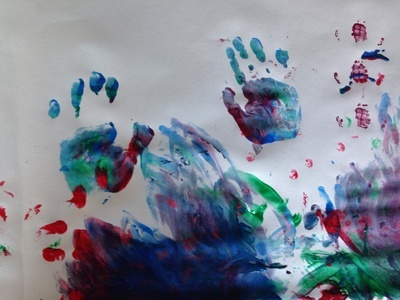 We made hand prints whilst doing some other messy painting - so it was very easy to cut out the individual prints and mount them on coloured card later on. Keep things clean and easy by taping a large sheet of paper to the table to stop it sliding around. Squirt some paint onto a flat dish. Pick one colour or squirt different colours out to mix up. 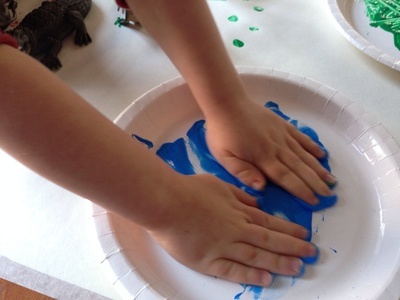 Press hands into the paint and stamp onto the paper. 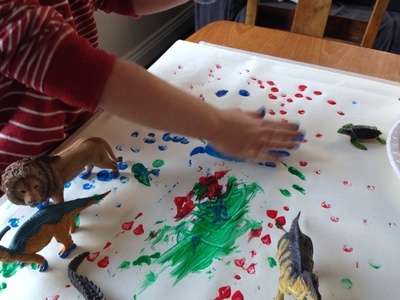 When dry, cut out your favourite hand prints. 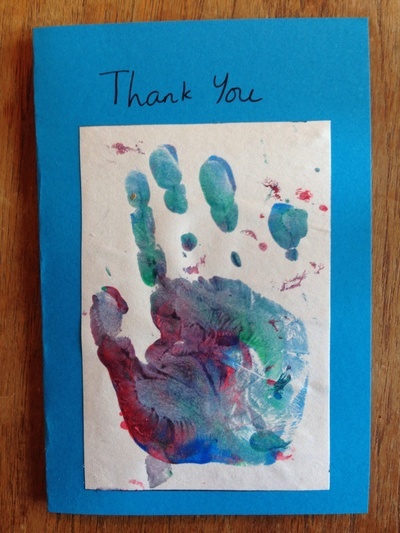 Glue a handprint onto a folded piece of coloured card. I wrote "Thank You" at the top of the card.